This virtual office in Radnor offers extraordinary services in an active location. Whether you are looking for just a day office or meeting room, this location offers state-of-the-art Internet and telecommunications, conference rooms, a fitness center, day offices, and hot-desking. This Radnor virtual office is perfect for financial, legal, technology, consulting and a variety of other industries who have flexible office requirements. Located in Delaware County, Radnor Township lies along the Main Line, a collection of highly affluent Philadelphia suburbs. Villanova University, Cabrini College, the Valley Forge Military Academy and College and Eastern University are all located within Radnor Township. 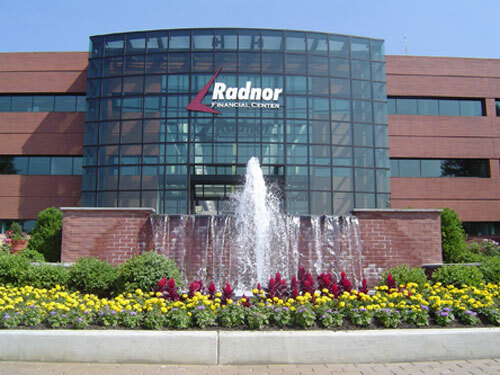 Several large, well-known corporations have made Radnor their home as well, including Lincoln Financial Group, TV Guide magazine and Airgas. Home to beautiful parks, a dynamic downtown, award-winning schools and universities, quality municipal services, international companies and nationally-recognized conservation efforts, it is no surprise that Radnor was named one of the top 100 Best Places to Live and Launch by Fortune Small Business Magazine and as The Best Place to Live in the Suburbs by Philadelphia Magazine. With its close proximity to the sights and sounds of neighboring Philadelphia, Radnor is an ideal choice for your next Pennsylvania executive office space location. If you are searching for a premier Radnor space to rent or lease, let ABCN handle everything for you! From start to finish, ABCN is here to help. Give us a call at 1(800) 869-9595 to speak with a representative about executive office space in Radnor.